In this November 14, 2016 file photo, actress Lena Dunham poses backstage during Glamour Women Of The Year 2016 LIVE Summit at NeueHouse Hollywood on November 14, 2016 in Los Angeles, California. Lena Dunham has taken a major step in her journey with endometriosis. The "Girls" star reveals in the March 2018 issue of Vogue that she underwent a total hysterectomy to remove her uterus and cervix, according to the Endometriosis Foundation of America. 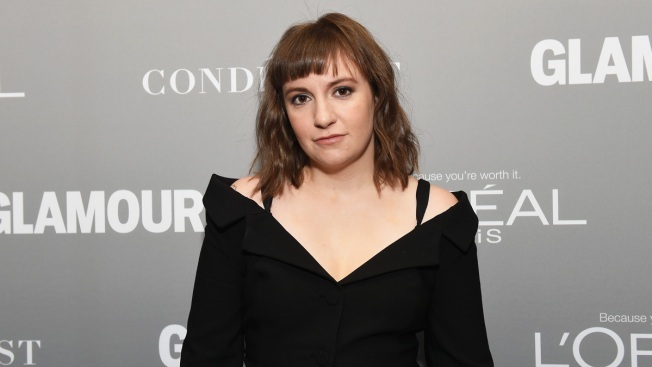 Dunham pens an essay detailing her decision after "years of complex surgeries measuring in the double digits" and unsuccessful attempts to treat the painful disorder with "pelvic floor therapy, massage therapy, pain therapy, color therapy [and] acupuncture." Unfortunately, doctors found Dunham's health issues were much more serious than she initially thought. "In addition to endometrial disease," the 31-year-old shares, "an odd hump-like protrusion and a septum running down the middle, I have retrograde bleeding, a.k.a. my period running in reverse so that my stomach is full of blood." Lena continues in the Vogue essay, "My ovary has settled in on the muscles around the sacral nerves in my back that allow us to walk. Let's please not even talk about my uterine lining. The only beautiful detail is that the organ--which is meant to be shaped like a light bulb--was shaped like a heart." In April 2017, Dunham thought her battle against endometriosis was over once and for all after another surgery. One month later, the celebrity was rushed to the hospital following the Met Gala for complications related to the medical issue and was ultimately forced to cancel her Lenny Letter tour. "To be perfectly honest," she explained at the time, "I'm in the greatest amount of physical pain that I have ever experienced. After being told I was endometriosis-free after my last procedure, more disease was found in deeper spots that required immediate surgery and now physical therapy." Lena says she's hopeful for the future, which despite her infertility, still includes plans to have children of her own. "I may have felt choiceless before, but I know I have choices now," she writes. "Soon I'll start exploring whether my ovaries, which remain someplace inside me in that vast cavern of organs and scar tissue, have eggs. Adoption is a thrilling truth I'll pursue with all my might."